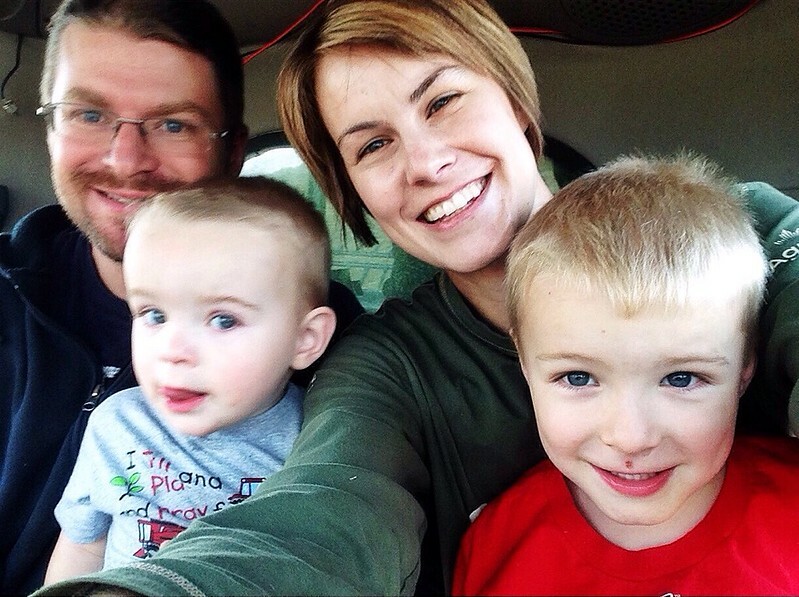 Harvest ’14 started on our farm August 12 when the first crop of yellow peas were going through the combines. We mark the start of our harvest not with the first swaths or when we desiccate the crops, but when the combining starts. Our harvest finished on October 9, and to do some math for you, that’s 9 weeks and 2 days of start-and-stop harvesting for our family. 9 weeks and 2 days. That was a long and drawn out harvest and I know our whole family is feeling the effects of it. With the unexpected snow we had in September that steamrolled our wheat to the ground, this harvest was nothing short of complicated. My job on the harvest crew is to cook meals with my sister-in-law Laura and my mother-in-law. I wanted to cook more when the crew was harvesting around our home, but by the end we were taking turns cooking suppers every three nights and it was nice to be able to do that, especially the farther away from our house that they got. The kids were truly troopers having long nights, later bedtimes and “forcing” them to eat when they’d rather play with their cousins. 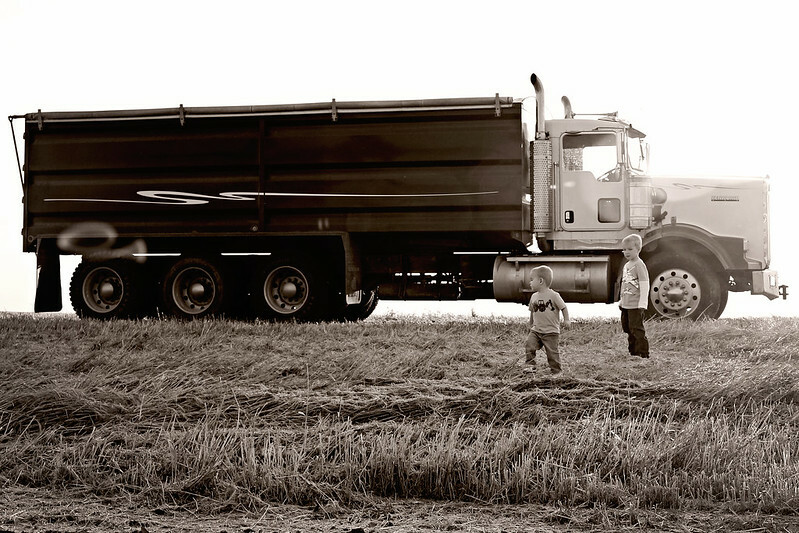 These busy harvest times will teach these kids valuable lessons for their futures about hard work and family. 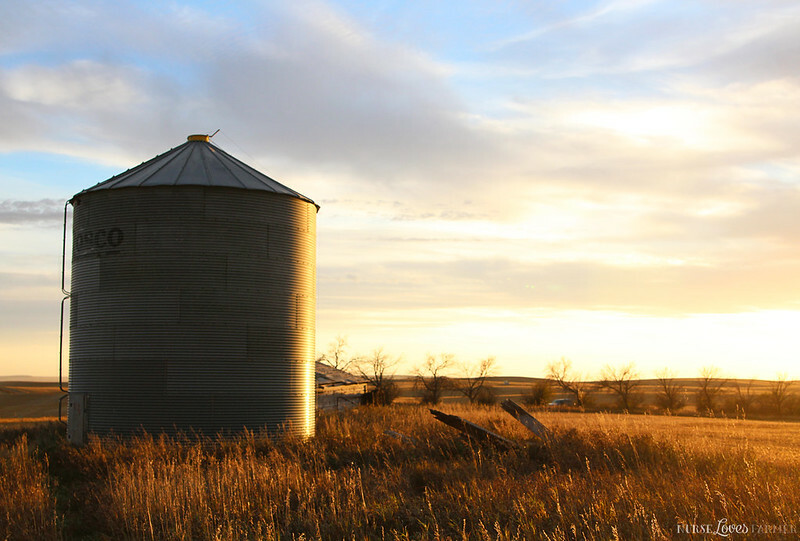 Jay’s final thoughts on harvest this year are that it was an extremely challenging and trying year, but we managed to get through it. He figures we’re all still working together and didn’t yell too much so that’s a positive. Yields were decent, the wheat quality was not near as bad as it could have been or that he thought it would be. With the weather forecast and patterns we thought that it would be nothing but tough, high-moisture grain coming off, but the weather was very favourable and we only ended up with 1 bin of tough grain. The most difficult part was peeling the wheat off the ground and subjecting the combines to picking up rocks; it made for a very stressful harvest combining our wheat right at ground-level. 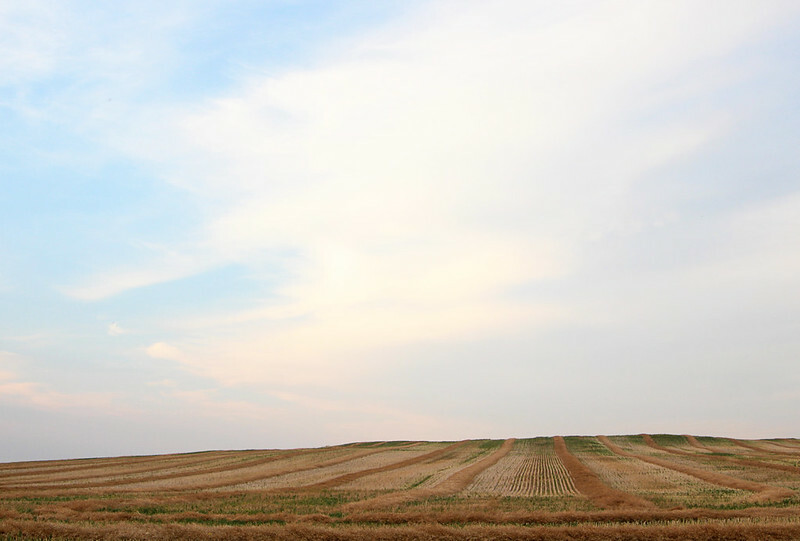 The wheat crops are usually 3 feet high and the combine cuts at 12″ – 15″ off the ground. 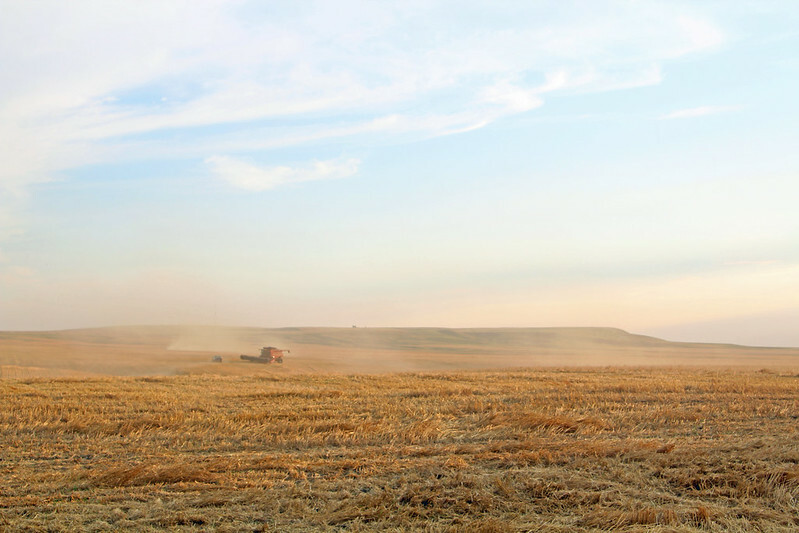 This year there was essentially 0″ of stubble, to provide you with a visual of how difficult harvest was and why they were white-knuckle driving with every pass of the combine. There were multiple break downs and various visits to multiple Rocky Mountain Equipment locations throughout southern Alberta and even Saskatchewan. This harvest was also our brother-in-law Craig’s first as a full-timer on the farm and we are so blessed and thankful to have him on the crew, especially with his background as a heavy duty mechanic. It was great to be around our family during these last 9 weeks, and we’re all gathering today for our Thanksgiving meal and we sure do have a lot to be thankful for, even through the difficulties we all faced this harvest season. Happy Thanksgiving and many blessings! Woohoo for being done!! And I am so thankful that the yields were better than you thought! ps – LOVE the photos! Congrats on being done! While we are dairy farmers, my husband works on a custom harvesting crew and we aren't even halfway done the corn silage here in south western Ontario. Corn is still pretty wet due to a crappy spring and now we are having a pretty rainy fall too. And while field side picnics are fun, it's getting awfully chilly! 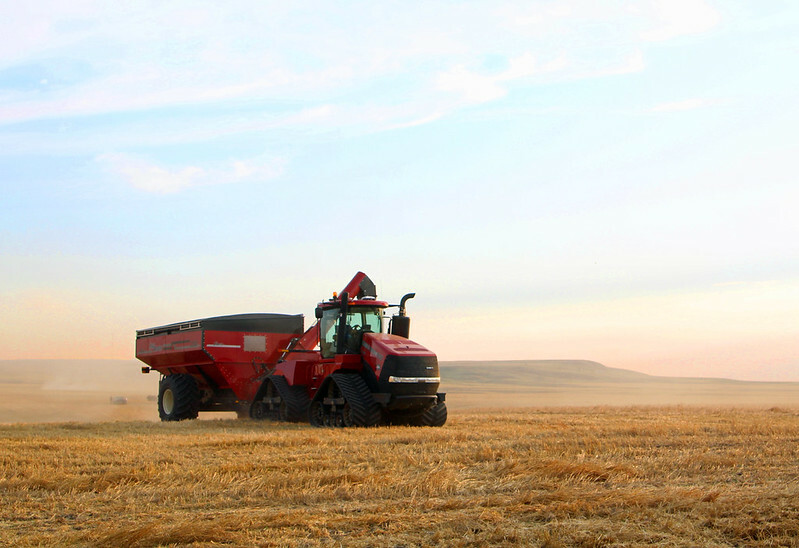 I loved all your harvest photos this year… Such beautiful scenery! Hope you are enjoying some wonderful family time… Can't wait to get my husband back.. Although at this rate it might be Christmas before I do! Oh man! Nine weeks is way too long!! 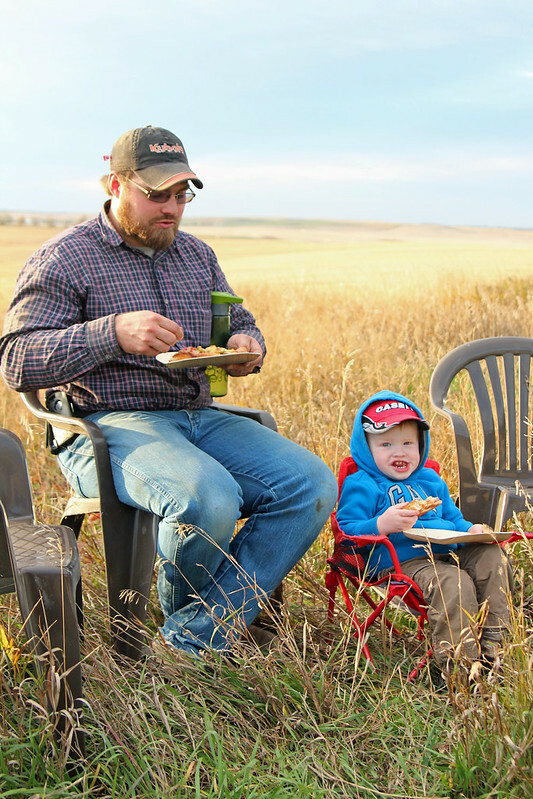 We measure our harvest success by how well we are getting along at the end, too. Oh and my goal is to always make it through without breaking something or spilling a ton of grain on the ground. 😉 Have a wonderful Thanksgiving! Yeah I thought it was 8ish weeks, but when I counted on the calendar when writing this post I just cringed that it was over 9 weeks! 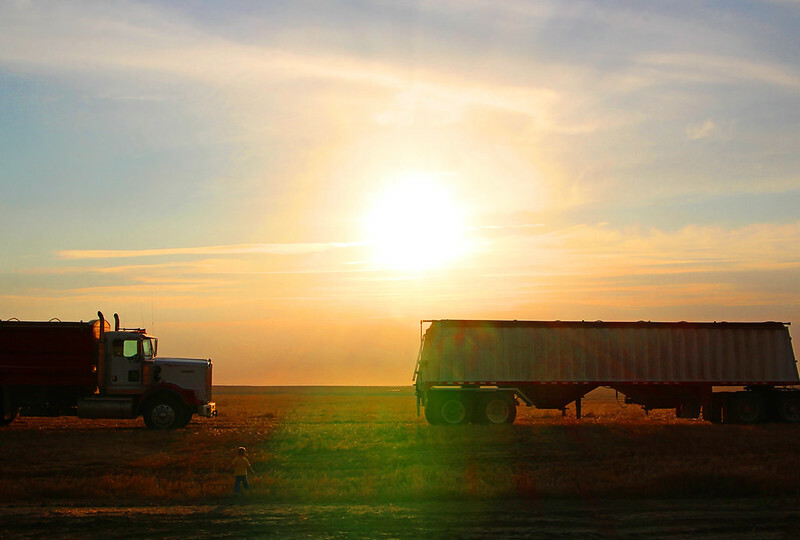 Hope your harvest goes smooth and that the weather cooperates!